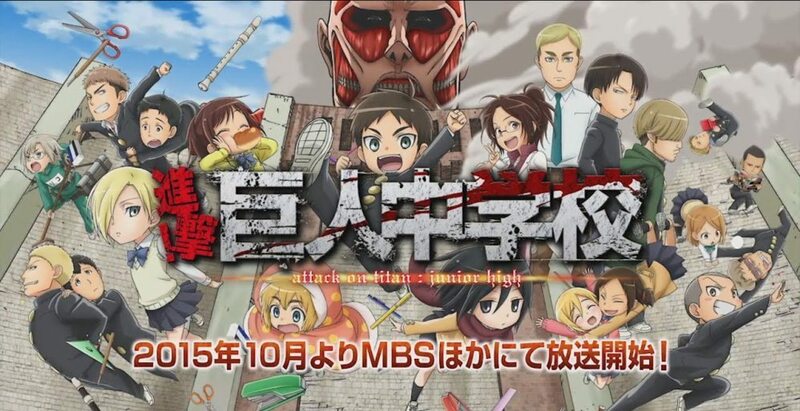 The school comedy story is set in a junior high school and centers on the original manga’s characters such as Eren and Mikasa as they battle with Titans. The spin-off incorporates gags while using Shingeki no Kyojin‘s story and notable scenes as its basis. Aired: Oct 4, 2015 to ?